A can of beans. A brick wall. A pair of bowling shoes. 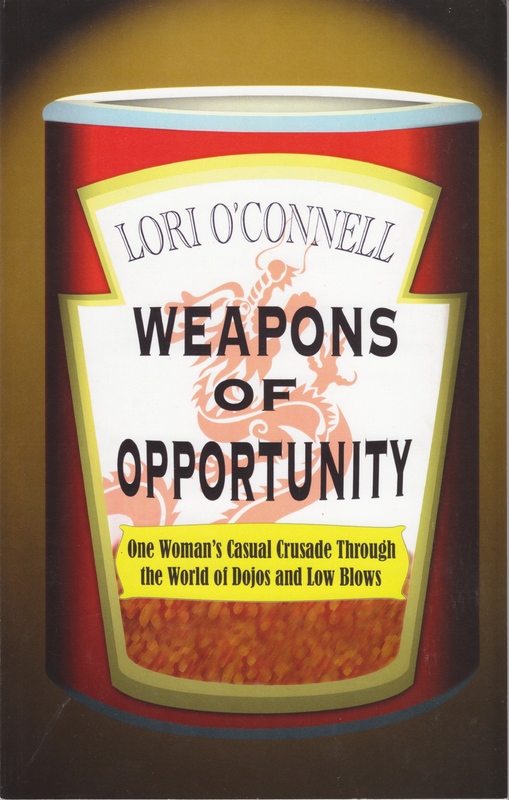 In her book, Weapons of Opportunity, Lori O’Connell reveals how these and other metaphorical weapons have furthered her personal development and deepened her understanding of what it means to be a martial artist. O’Connell is a 5th degree black belt (3rd degree at the time of writing) in Jiu-jitsu who stands among a long line of men who have devoted their lives to the development of the art. Over the years, she has faced many battles with the long-standing training traditions and conventions of the male-dominated world of martial arts. With casual intimacy, her book tells her myriad training anecdotes, complete with bruises, backtalk, and beer. It details her experiences in different schools, different martial art styles, and different countries, including Japan where she struggles to find her place while simultaneously struggling to figure out her shower. O’Connell strips away the formality of the martial arts and shows it for what it is, no punches pulled, from the perspective of a student and teacher. This is the first published book by Lori O'Connell. You can find Weapons of Opportunity Internationally on Amazon. ...and all the rest too!